Ashford Studios has been granted planning permission by An Bord Pleanála to proceed with the proposed €90m expansion of its current studio space in Co. Wicklow. The €90 million expansion, which will see the creation of five new film studios in Wicklow, is expected to create up to 1,500 film and television sector jobs, with plans set to include the construction of four new 40,000sq ft. film studios. The plans also include a television studio, studio offices, a visitor centre and an expanded car park intended to include over 600 car and 100 bus spaces. Founded by Wicklow entrepreneur Joe O’Connell, Ashford Studios has enjoyed great success in recent years with History’s ‘Vikings’, which recently completed its sixth season in December of last year. 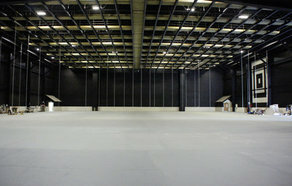 However, as outlined in the Environmental Impact Statement issued to the Wicklow County Council in January 2018, the second phase of the studios development was crucial to the Studios’ continued growth with ‘phase one’ no longer sustainable to host other projects alongside the large-scale drama series. Planning permission for the expansion was originally granted by Wicklow County Council back in March, but was postponed due to appeals from two local residents. However, An Bord Pleanála deemed that the proposed expansion would not seriously damage the visual amenity of the area or the residential amenity of property in the vicinity. “Building on the success of Vikings, which is currently using our entire existing infrastructure, combined with funding from our group of businesses, we will finance the next phase of expansion ourselves. Film and TV production is temporary, so there is financial risk regarding investment versus a return. This makes funding particularly challenging. Raising capital through banks, for example, is difficult for this reason. Our options are further limited as the project cannot be state assisted under EU law, which ensures compliance with fair competition in each country. Ashford Studios is said to have turned a profit of €1.59m in 2016 according to reports last year, which also estimated the studio had a cash pile of €2.37m. O'Connell’s other business ventures are also said to be a source of revenue in which the entrepreneur wishes to pool from.